Our exclusive Elfa Mesh File Cart offers room for hanging file folders (sold separately), and has two Mesh Drawers below for storage. 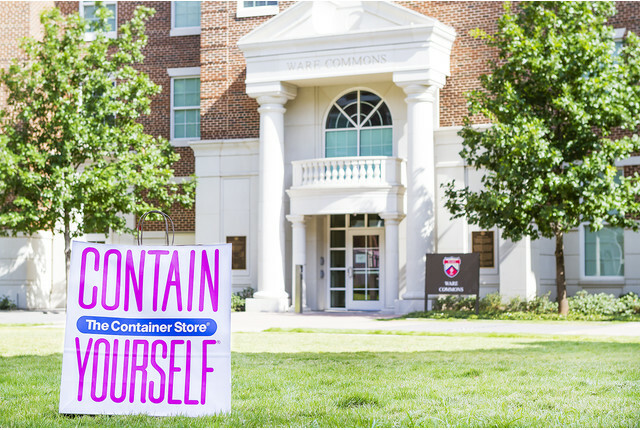 Available only at The Container Store, the fine weave of the mesh prevents small items from falling through. Choose from either letter-size (with Narrow Mesh Drawers) or legal-size (with Medium Mesh Drawers). 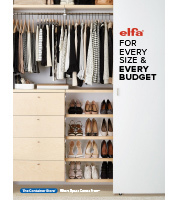 Elfa is an entirely customizable system - if this isn't exactly the solution you're looking for, try our Elfa Drawer Planner. White Elfa Mesh File Carts is rated 4.8 out of 5 by 141. What are the inner dimensions of the shallow drawers on the legal-size units? The shallow drawer is 10.5&quot; x 18&quot; x 3&quot; at the bottom of drawer and 11.75&quot; x 19.75' x 3&quot; at the top. (The basket is tapered.) If you want something to lay flat, go by the bottom measurements. Can the bottom drawers be swapped to hanging file storage? I'd like to have 2 levels of hanging files, and no drawers. Is this an after-purchase option? The rails for the hanging files have bars that are attached to the cross bars at the top; so the answer would be no.